An abortion is a procedure used to terminate a pregnancy and remove a fetus from a woman’s uterus. Although abortions, to various extents, are legal in all 50 U.S. states, many do not fully understand what the different procedures actually involve. The “abortion pill,” RU-486, also known as mifepristone, is available for women up to seven or nine weeks since their last menstrual cycle, depending on the legislature in the state in which they live. The drug works by blocking the hormone progesterone, which subsequently causes the uterine lining to break down and no longer be able to carry out the pregnancy. After two days, depending on the health provider, you may be asked to take a second pill, misoprostol, a drug which helps to empty the uterus. Planned Parenthood reports that abortion pills are highly effective, working between 96 and 100 percent of the time. Unfortunately, in the rare cases when the abortion pill does not succeed in ending the pregnancy, the drug’s effects on the surviving fetus may be serious, although this is not always the case. Planned Parenthood advises that in these rare cases a woman undergo a second abortion treatment. Many women will experience moderately painful cramps after taking these abortion pills and will have heavy vaginal bleeding for several days. Diarrhea and nausea are also common side effects associated with the drug. Women are advised to not be alarmed if bleeding continues for up to four weeks following the procedure, and to use only menstrual pads, not tampons, during this period. If a pregnancy is too far along for medicinal abortions, there are other options, with aspiration being the first of these. Aspirations are usually done in the first trimester, and depending on the health provider are offered up to 16 weeks following a woman's last menstrual cycle. The non-surgical procedure involves using a vacuum instrument to remove the fetus from the uterus. During an aspiration the cervix is numbed, allowing a woman to feel no pain during the procedure. During the actual sucking, which lasts only a few minutes, a woman may feel moderate cramping. It’s associated with far less bleeding than the abortion pill. A dilation and evacuation procedure is done on women who are in their second trimesters, usually after 16 weeks following a woman's last menstrual cycle. The procedure involves dilating the cervix with the aid of drugs, to allow a doctor entry to the uterus. Following this, the doctor will begin suctioning the fetus. However, depending on how far along the pregnancy is, forceps may be needed to grasp and remove fetal tissue too large to be vacuumed. Afterward, a curved instrument is used to gently scrape the lining of the uterus to ensure the removal of all remaining tissue. The entire procedure takes around half an hour, during which a woman is given a sedative to reduce the uncomfortable cramping she may experience. Conducted in the second and third trimester, these types of abortions usually span over the course of several days. The first step involves injecting the woman with a solution to stop the fetus’s heartbeat. The cervix is then manipulated to open, a process which can take up to three days. Once dilated enough, a doctor ruptures the woman’s amniotic sac. Because the fetus is now too large to be suctioned out, doctors will use instruments, such as forceps, to remove the fetus from the uterus. Afterward, they will scrape the uterus, similar to the D&E. These procedures are done under local anaesthetic to ensure minimal discomfort to the woman. Many times these types of abortions are done to terminate pregnancies where severe fetal abnormalities have been detected. Unfortunately, research has shown there are many times these diagnoses are incorrect and result in the abortion of healthy fetuses. In the case where late-term abortions are requested for this reason, if requested by the parents, the fetus can be preserved intact for later burial services. “Partial birth” abortions are by far the most controversial abortion procedures. As of March 2015, 32 states have enacted bans on “partial birth” late-term abortions. However, the majority of states do not adhere to the federal definition, and so what legally constitutes an abortion of such type varies across the United States. This makes the legislature against such procedures very difficult to enforce. Major adverse effects from abortion are rare when the procedure is carried out by a certified health provider. In most cases the recovery period ranges from a few minutes to a few weeks. Sexual activity can be safely resumed up to one week following the abortion treatment. According to Planned Parenthood, a woman can become pregnant very soon after undergoing an abortion procedure, so she is advised to immediately practice birth control upon resuming sexual activity. Women should expect their periods to return within four to eight weeks. 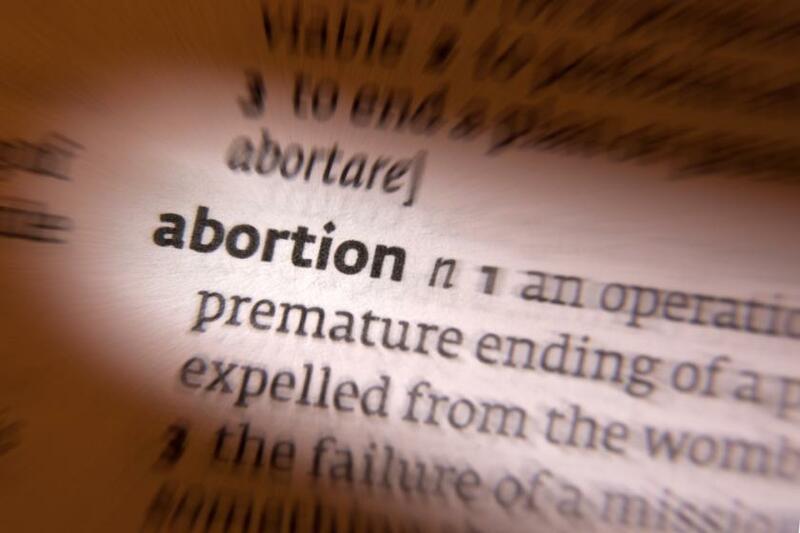 The emotions experienced post-abortion vary greatly depending on the woman. Some may feel a great relief and have no residual emotional trauma, while other women, and sometimes men, experience long-lasting grief and depression that can can affect their quality of life. Having the support of a loved one may help to reduce the emotional drain, but women who find themselves extremely depressed following the procedure are advised to seek counseling.